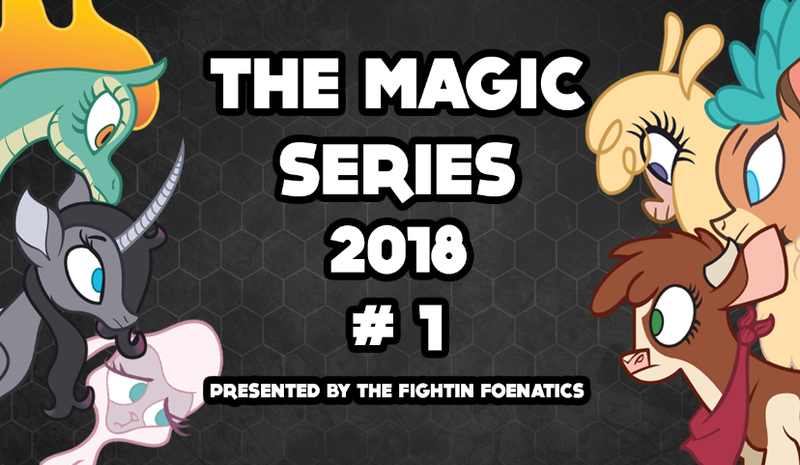 Welcome, all, to The Magic Series! This particular tournament is the first in an intended-monthly, online circuit for 2018, wherein we plan to continue hosting associated monthlys in the same format culminating in an end-of-year finale! These tournaments, as well as the planned final, are and will remain free of entry fees, and are open to all-comers. Each month will have a base $150 prize pool and the same payout structure, with the exception of the final (finals payouts TBD). We are using the standard double-elimination style, with the winner in Grand Finals needing to be defeated twice by the loser. We can't stream every match, but we'll organize as best we can to both maximize streamed fights and match-flow. Payouts: first place will receive US $75, second place $45, third place $20, and fourth place $10. PAYOUTS WILL BE DELIVERED VIA PAYPAL, so ensure you have an account in good standing on hand.